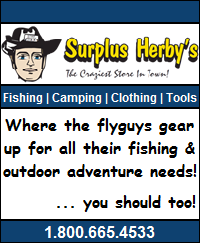 ← Fishing Report – Flyguys Northern Division! As mentioned above, the ticket to all our success this weekend was the chironomid pupa – specifically chromies like the KKK. Although there were other colours evident in the throat pump samples, the chromies far out numbered the rest and therefore, not surprisingly, it was the imitation that took the most fish. 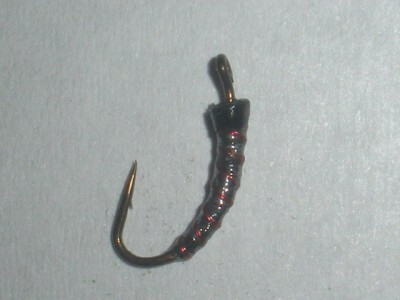 Close second to the KKK were the the static cone chromie, the black n red, the little red, and the copper brown. 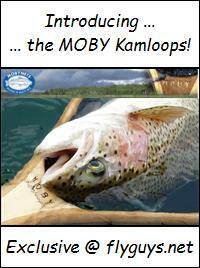 So that’s it folks, another typical Kamloops area mixed bag of weather May long weekend. Technically, I guess there is still a day of it left, but since the weather is forecasted to remain the same I think it’s fair to assume the fishing will as well – not a bad thing as long as your patient enough to wait out the lows and capitalize on the up swings! 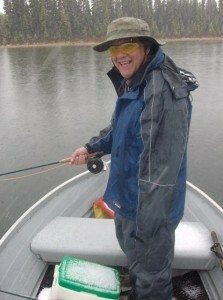 As usual, you can find all of this years fishing pictures on our 2010 gallery page! 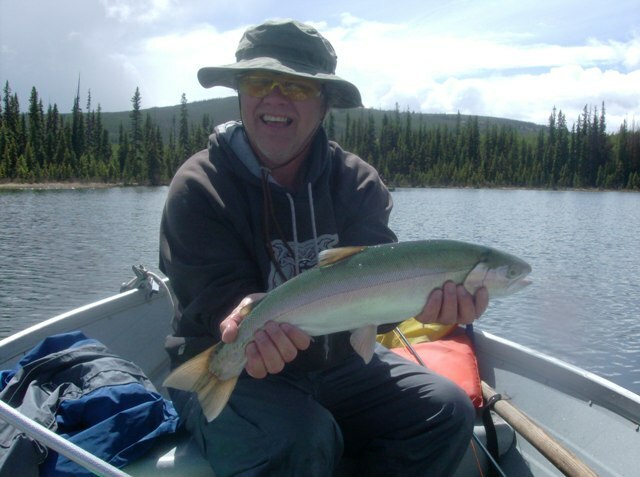 On a related note, Tunkwa & Leighton lakes were also spotty fishing over the long weekend most likely due to the weather as well. Chironomid fishing seemed to slow down a bit and he anglers who trolled were doing bests. Throat samples should the trout to be absolutely stuffed with scuds, hardly any chironies despite the strong hatches going on. Anglers that keyed in on this switch in diet were doing well. Scud patterns slow trolled or drifted were effective with fish to 26 inches! As the weather stabilizes we should see the fishing turn more consistent again. Oh, and it was also nice to see the first signs of mayflies hatching! And on the way home we checked into Logan lake only to hear the same old story … bad weather equals bad fishing but those who were persistent were catching fish. I would bet that we would have had the same results no matter which lake we chose to fish this weekend! 🙁 Oh well, keep your fingers crossed for better weather and better fishing. 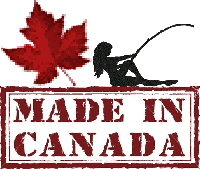 This entry was posted in Fishing Reports and tagged Chironomid Fishing, Chromie, Deep Water Chironomids, Fishing Report, kamloops area lakes, Kamloops Area Lakes Fishing Report, Kamloops Highlands Lakes Fishing Report, Leighton lake, Logan Lake, Long Lining Chironomids, Tunkwa lake. Bookmark the permalink.